Sycamore Canyon Campground sits just off the beach in Point Mugu State Park on the west end of the Santa Monica Mountains in Malibu. The 13,300-acre park boasts beautiful beaches, rocky peaks, and miles and miles of hiking trails. Tents and RVs are welcome attack this drive-up campground. In addition to beach access, Sycamore Canyon Campground provides fire rings, picnic tables, potable water, coin showers, and flush toilets. Woolsey Fire Update: Sycamore Canyon Campground remains closed following damage from the November 2018 Woolsey Fire. Check the Point Mugu State Park website for current visitor information. 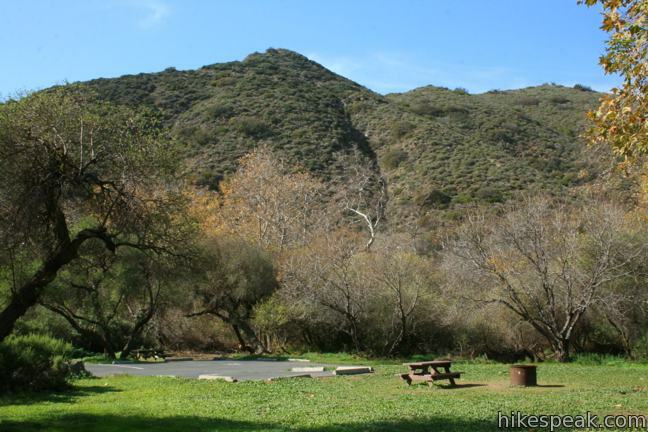 The campground sits at the mouth of one of the two main canyons in Point Mugu State Park, Big Sycamore Canyon, and the campground is a convenient starting point for several hikes, including Scenic and Overlook Trails Loop. Each site is $45 per night, plus $10 for any additional vehicles (prices as of 2017). Sites may be reserved online from reservecalifornia.com or by calling (310) 457-8143. Dogs are allowed, but must be kept on leashes in the campground. Dogs must be kept in tents or vehicles at night and are not allowed on park trails. To get to the campground: From Los Angeles, take the 10 Freeway west through Santa Monica and follow PCH northwest for 32 miles through Malibu to Point Mugu State Park. Drive 3.2 miles past Yerba Buena Road, and turn right into Sycamore Canyon Campground. From Oxnard, head southeast on PCH for twelve miles and turn left into the campground. This 11.75-mile hike explores Point Mugu State Park on the west end of the Santa Monica Mountains, offering extraordinary ocean views (while still visiting La Jolla Canyon Falls). 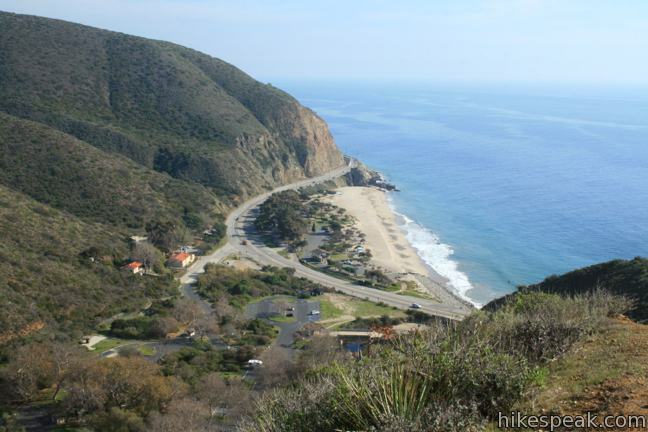 This coastal park has 135 campsites with nearby hiking and access to Malibu’s finest beaches. This campground has 63 sites with lots of amenities and nearby trails. Check out a few other places to camp in Los Angeles County. Are the showers working at Sycamore Canyon Campgrounds? We will be there in 2 weeks and the last visit the showers weren’t working. 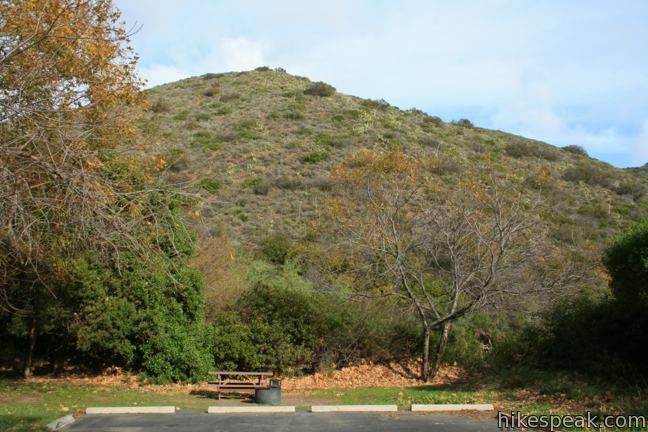 9/2/2012 – Are the showers working at Sycamore Canyon Campgrounds? Also, are there any electical outlets for charging phones or laptops? I need to know if the showers are working?” Going soon. How much privacy does one get here? Are the grounds very very close to each other? If yes, how close? I have a reservation in Sycamore Canyon campground is okay to have firewood at night? are dogs allowed at sycamore canyon campground? Yes. Dogs are allowed on leashes and must be kept in tents or vehicles at night and are not allowed on park trails. Is there a day use parking area for Sycamore Canyon or is the only option La Jolla Canyon down the road? There is day use parking, which is handy if you plan to start a hike from here. Looking to do a family gathering and use a fire pit on the beach. What beach would you recommend to do a bbq, Point Magu or Big Sycamore? Easy unloading is important. Thanks for your assistance. Are there any horse camping facilities in or around Point Mugu? How do I locate horsecamp sites in/near point mugs? Are dogs allowed on the beach if they are on a leash? So this is July 2016. Are the showers working at sycamore canyon campground at point magu?? How much is it to park your passenger car at the Pt. Mugu Sycamore just for the day, leaving the same day? is Steve still attendant at the campground ? any damages from the fires ?